With their soft, airy shell and sweet filling, macarons surpassed the popularity of cupcakes and have become the new “It” dessert. These brightly colored cookies with their aesthetically pleasing exterior have boutiques dedicated to selling them, bakers inventing new flavor combinations, and New York City dedicating an entire day to celebrate them (March 20th). 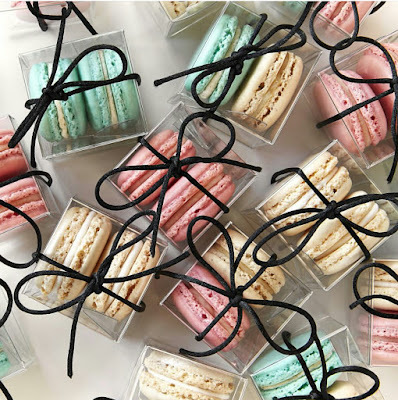 Macarons are edible art, and we want that to be showcased, not the packaging. 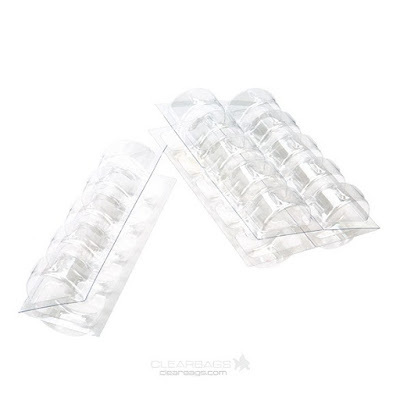 We have found that our customers use 3 different types of stock packaging for their products: macaron boxes, crystal clear boxes, and gusset bags. Each tray holds five macarons, but you will notice that it is only the bottom. Just fold over another “bottom” tray to make it a top protector. You can set up the trays in rows of five, or even stack them on top of each other. What is important is ensuring you have the correct outer box to hold the tray (hence why we sell them in sets – but they can also be sold individually!). These little pockets of protection not only keep the cookies safe, but also help them stay fresher longer. 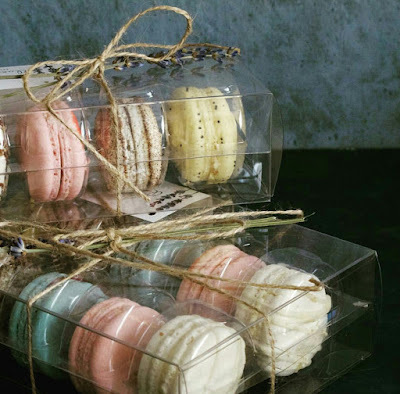 An alternative to using our macaron boxes are our Crystal Clear Boxes! 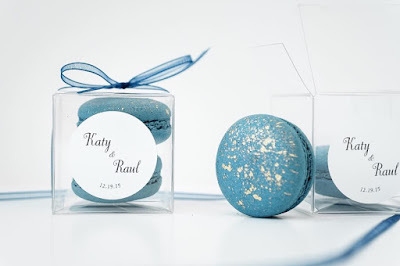 For wedding, birthday, or event favors, our most popular box is our PLB104, which hold 2 standard size cookies either stacked or placed side by side. Our PLB139 will hold 3 cookies stacked, and the PLB137 will hold 6 cookies stacked and are generally used for orders in stores. Gusset bags are perfect for on-the-go orders and when you know the macarons will not last very long in the hands of your hungry customers. Our FGPB12 gusset bag can hold up to 7 cookies depending on closure method (label, bow, ribbon etc.) and has a built in white paper insert to provide extra support inside the bottom of the bag. We know that price point and shipping are very important to our customers, and as a wholesaler strive to provide the most economical solutions. 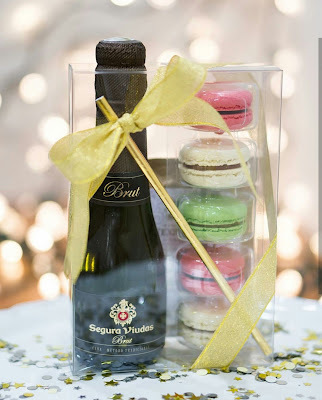 Our Macaron Boxes and standard Crystal Clear Boxes are sold in 25 packs, and vary in price depending on size. The Gusset Bag option is sold in 100 packs. Shipping will also vary depending on weight and location, however, all of these options ship flat for maximum savings. 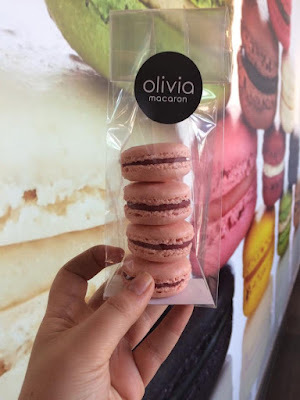 It can be a process to find the right kind of packaging that fits your needs, but figuring it out will ultimately help your brand, keep your macarons secure, and showcase them best. 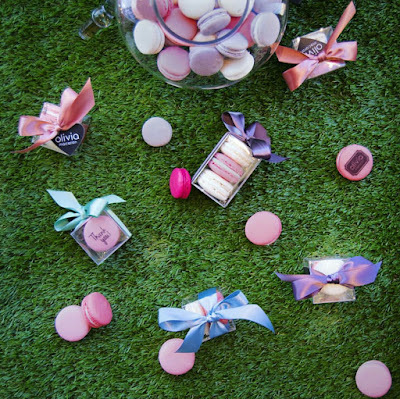 We want to help you achieve this, which is why we are striving to provide several options of macaron packaging. If you are not sure which option will work best for you, we always ship samples free within the United States.